Combining strong ties to the West Michigan community with real-world business experience, attorney Kristin Britt works tirelessly to aggressively represent her clients in the areas of business law, family law, estate planning, real estate and probate. After years of owning her own business and working in marketing and commercial real estate, Britt decided to pursue a law career — earning her Juris Doctorate from Thomas M. Cooley Law School in 2008. After building a successful practice in Rockford, she relocated Britt Law to McKay Tower in downtown Grand Rapids in 2011. This past year, the firm expanded into a larger office in McKay Tower and added an office in Spring Lake — rebranding the new firm as The Britt Law Group PC. Kristin’s dedication to her clients encompasses both her specialty work as a business counselor and advocate for small business owners, and her representation of individuals facing divorce, child custody and future planning issues. As a driven and outgoing voice throughout the communities she serves, Britt has established a reputation as a conciliator and connector within her vast network of colleagues and business associates. If she cannot help you, she knows someone who can! 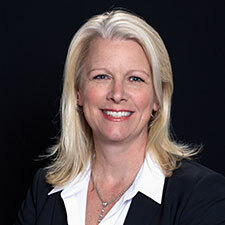 Kristin currently serves as President of the North Kent Connect Board, and served previously as the group’s Personnel Committee Chair and Vice President. A staunch supporter of numerous worthy causes and community outreach, Britt’s past community involvement includes speaking engagements and services for Affinity Mentoring, Ambucs, Habitat for Humanity’s Women Build Program; the Michigan Economic Development Corporation’s Michigan Shifting Gears Program; Cornerstone University’s Champions of Character Program Development Committee; Inforum’s Power Golf Fundraiser Committee Co-Chair; the Grand Rapids Chamber of Commerce Membership Committee; the American Cancer Society’s Rockford Relay for Life Fundraising Coordinator; the Michigan Women's Foundation Fundraising Committee; and the Rockford Chamber of Commerce Bronze Member and past CNC President. For more information about attorney Kristin Britt at The Britt Law Group, please contact her here or call her directly at 616.866.2700.